Soft lines and clean design feature Buddy collection. 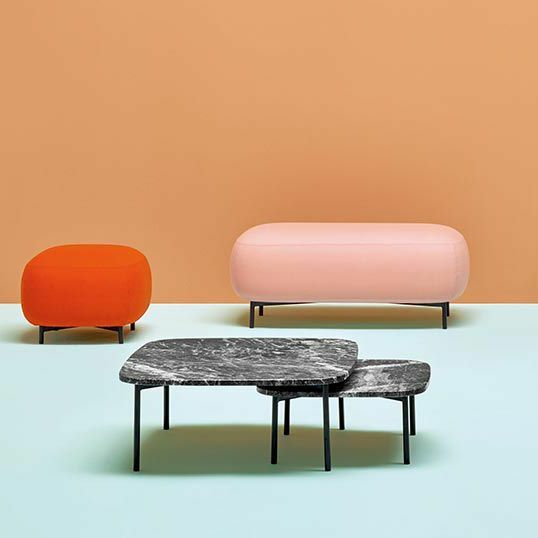 A coffee-table that links the same frame of the pouf, composed by four thin and rigorous legs Ø20mm, to squared tops with rounded corners in line with the design of the family. Height 260 mm or 320 mm.